The wind moved swiftly through the trees, their green tops bending beneath the force. A leaf broke from a tree and found itself caught up in a swirl of wind, causing it to rise up higher then the ancient trees. The world below looked tiny, but beautiful. The green hills were dotted with colour from the spring time blooms, their heads bent in the breeze. My hair was loosened from my bun, caught up in the breeze, whipping about my face. I couldn't think of what else to write so I tried to ramble a little. Tomorrow it is up early so that we can take hubby to the airport and he can head back up to the mines. 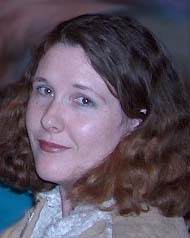 I hope to update Cindy Maulkner again soon as well as put together a few ideas for a possible D&D style blogging page.